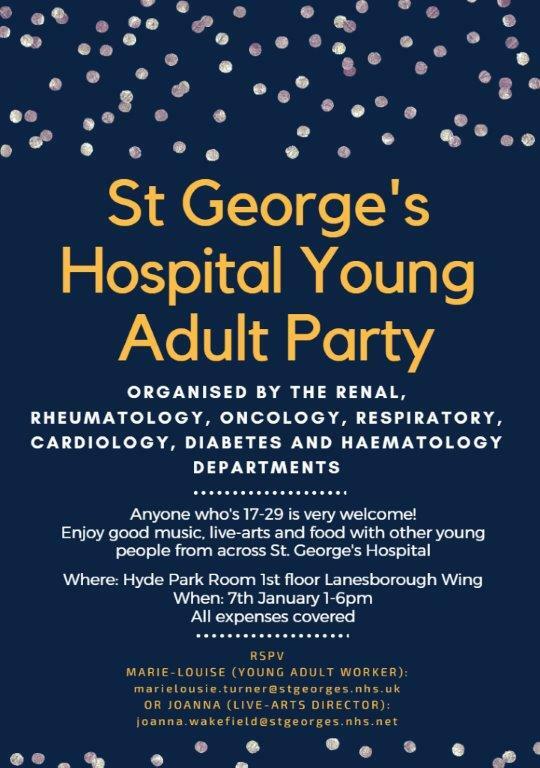 We are please to announce the St George's Young Adult Party on the 7th January 2017 - 1-6pm. It will be in the Hyde Park Room, 1st Floor Lanesborough Wing. All expensed will be covered.